Walking is discovery and rediscovery. I have great enthusiasm for walking in the landscape as it provides life-affirming adventures and experiences, new inspiration, and renewed enthusiasm for life. Even a familiar place can reveal something different about itself on another new day. Recently I have been exploring pathways that pass through old disused mines and quarries which have provided an endless source of inspiration over the last few months…. 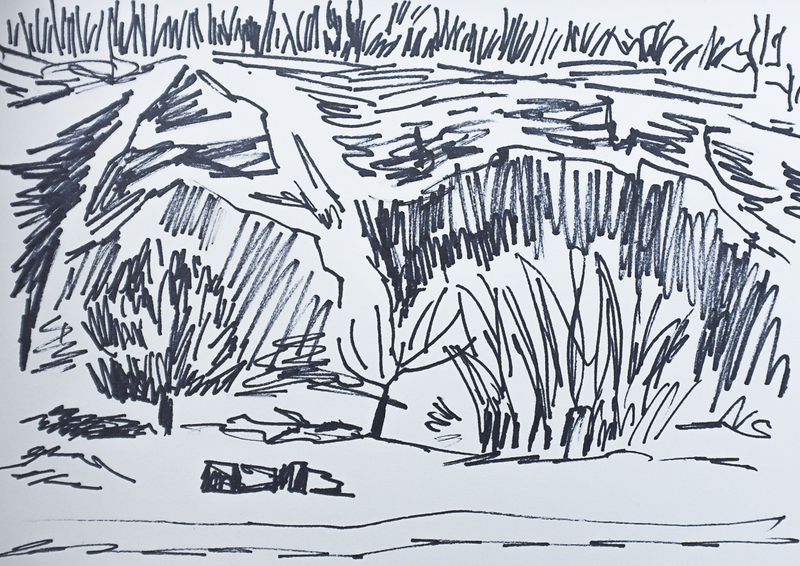 Back in February, whilst walking in the woods, a break in the path emerged at a huge disused limestone quarry. Massive cliffs plunged towards the ground heavily patterned with marks made by the machinery that cut the stone away; lined at their upper edges with an audience of trees peering over the precipice into the man-made arena below. A parting of the clouds, a shaft of light and a rainbow added even more poetry to this already rich and storied landscape. It was a remarkable moment which resonated for weeks and caused me to consider some of the similar places I had also walked through recently. 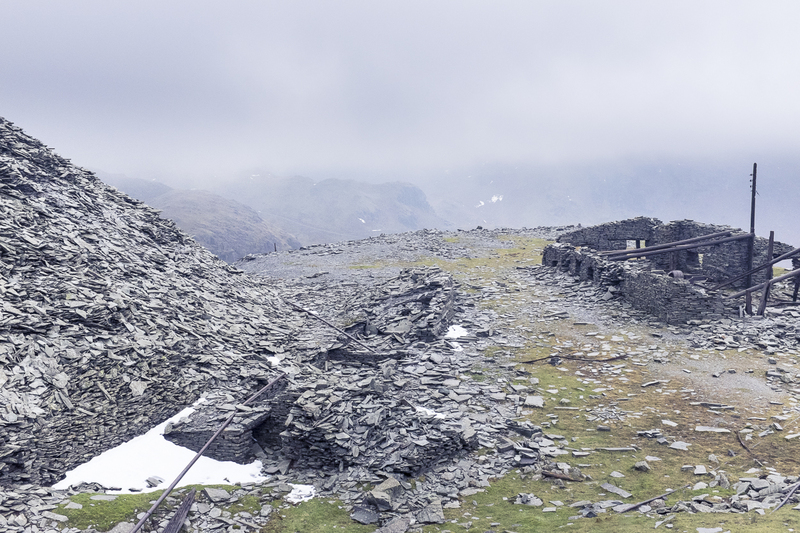 Disused slate quarries harshly located on the rugged Cumbrian Fells, exposed to the elements, their slate spoil heaps and machinery cast around in memory of their industrial past. Quarried limestone cliffs that have been reclaimed by nature and are now protected and managed as nature reserves. Havens for trees and birds, and for visitors seeking peace or recreation. Since then I have walked through many similar landscapes in the area and have begun to make work about them. You can feel a real sense of industrial history in disused quarries, which have a haunting atmosphere often associated with abandoned places. It is easy to imagine the harsh conditions for workers; especially in winter time. On the other hand, there is the new life taking root between rocks and nesting in cliffs; or the surrounding rugged, mountainous terrain, whipped by the wind, to offer another fascinating perspective. I have posted a selection of the works below. Please click on an image to open in the lightbox. You can view more work in this series by visiting my gallery pages. I’m always very interested in reading your comments. Please share your thoughts with me using the form below. this is such a great post. Good pics and art as well.